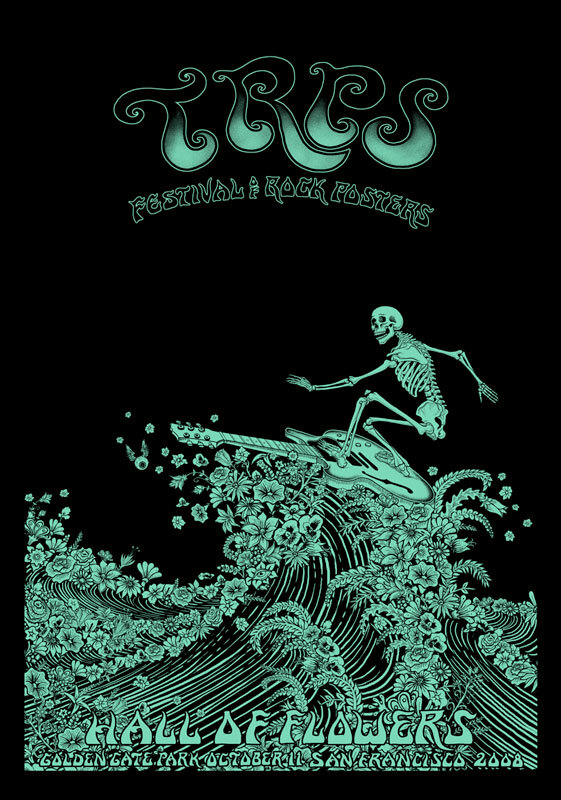 Artist EMEK was commissioned by TRPS to create a poster for the 10th Anniversary Festival of Rock Posters held at the Hall of Flowers in San Francisco, CA on October 10, 2008. 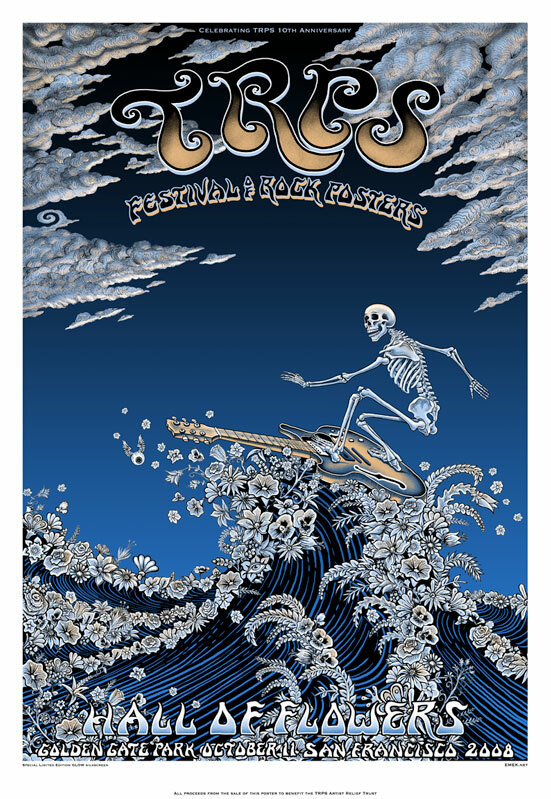 All proceeds from the sale of the poster benefit the TRPS Artist Relief Trust. This silkscreen poster measures 21.5″ x 31″ and comes from an edition of 125, signed, numbered, and embossed by EMEK. It also glows in the dark!